Alpha Pharma’s Mastebolin 100mg, with the main element of Drostanolone Propionate, is a special anabolic steroid based on the method of making this drug from dihydrotestosterone (DHT). Masteron has a high androgenic activity, but it does not have a large anabolic effect. The drug is very common in bodybuilding, it is used to give the muscles stiffness and relief, and is also used as an aromatase inhibitor. Athletes often use this drug at the end of a course of steroids. 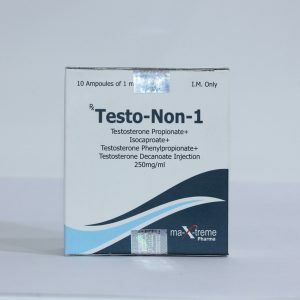 Mastebolin 100mg-10ml should always be combined with other steroids so that it can fully do its job and show the best results. Especially effective to combine it with drugs that have aromatization, such as methandienone and testosterone esters. Masteron will not retain water in the body, and will also be an aromatase inhibitor. 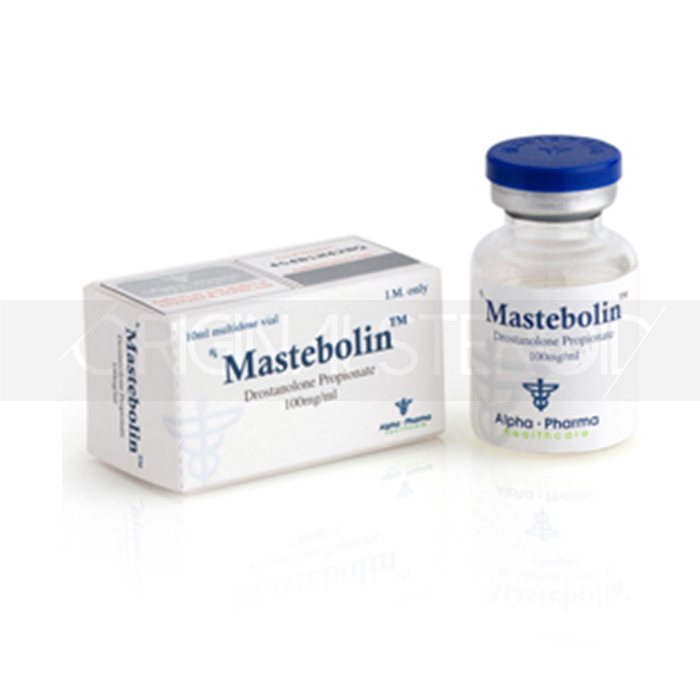 Our clients choose Mastebolin 100mg-10ml for being one of the strongest anti-estrogenic anabolic steroids. 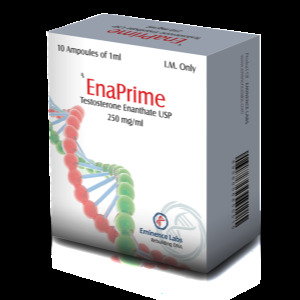 The drug not only does not possess estrogenic properties, but also acts as an antiestrogen in the body. Due to the fact that propionate Drostanolone gives the muscles the necessary relief, rigidity, has a fat burning effect, allows you to deal with the accumulation of excess fluid in the body, this drug is often used during the liner to the competition. Beginners can take the recommended weekly dose of 200-300 mg. However, advanced users believe that the optimal dosage for them will be 400-500 mg per week. It is combined with drugs such as methandienone, testosterone, Winstrol, oxandrolone, boldenone and trenbolone. You can buy Mastebolin 100mg-10ml and other steroids in the online store iron-shoulders.com.